Transcribed by A.W.H., probably Anna Hopper, this Wordsworth poem suggests one of the underlying sentiments of a friendship album. Small gestures of friendship are especially genuine and meaningful because their humility demonstrates true devotion. Hopper’s short poem, i.e., a “small service” still indicated true friendship, and although her entry complemented more prominent writers, she wanted to suggest that she too had value. Although Hopper does not provide an author, she does suggest that the poem is not her own when she puts each line in quotations. 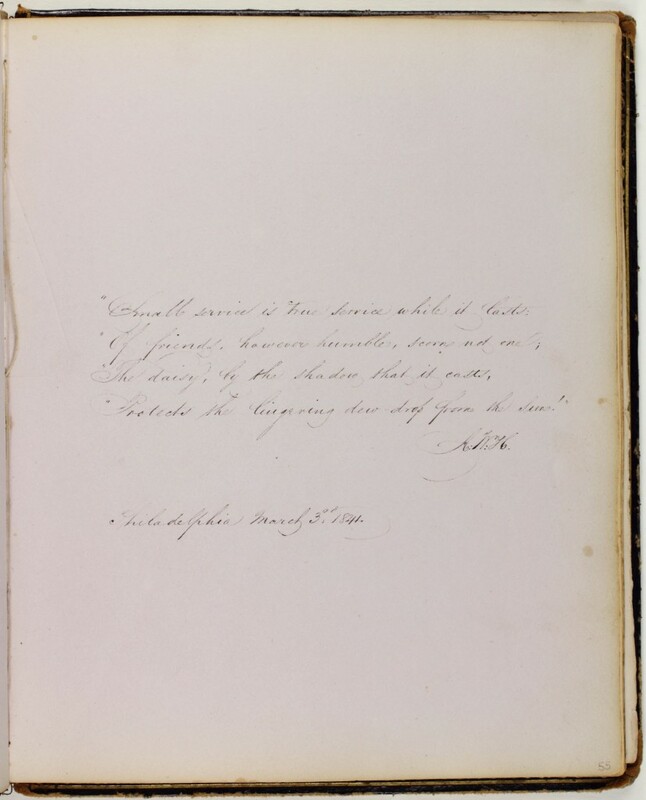 Page 55:Transcription of William Wordsworth, “To a Child. 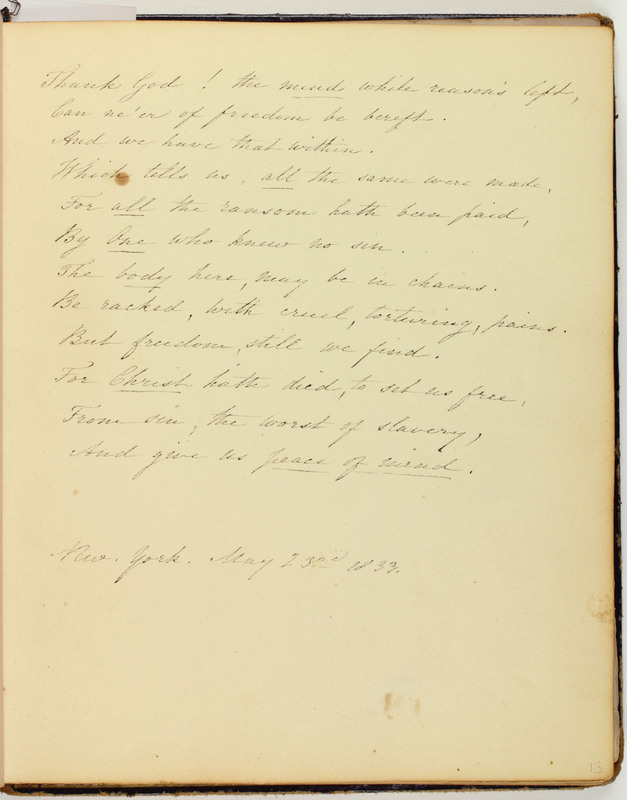 Written in her Album” (1834).